This post was inspired by a client who came to us for help with inbound marketing fresh off a website redesign by another web design company. 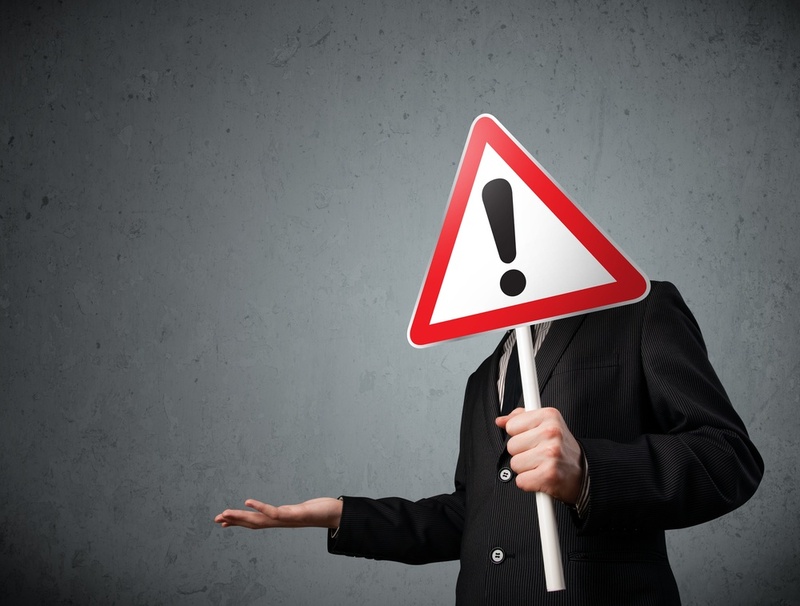 Over the course of getting them set up and looking into their website's performance, we encountered quite a few SEO red flags. This served as a reminder to me that many web design companies focus only on making a site look pretty visually and often ignore or overlook some of the basic SEO set-up and installation steps that are crucial to a website's success. It also served as a reminder that many people may not know how to check for or identify these problems, so I decided to put together a quick instructional post to help you catch some of the problems that will have the biggest impact on your website's ranking ability. There are a ton of different analytics tools out there, and we've talked about plenty of them. I often am asked which tool is the one you should use to manage your website. And then I laugh. Just one? No, no, no. The first and most costly mistake you can make is assuming all analytics tools offer the same information and you only need to look at one. Would a construction worker be able to function if they had to select just one tool? Imagine someone handing you a pile of lumber and a hammer then asking you to build a house. It isn't possible. You'd need a long list of other tools besides just a hammer to finish the task. Analytics can be looked at in much the same way. Google Analytics and Google Webmaster Tools are very important tools to have in your arsenal. And, they are completely free, so it is kind of a no-brainer. It is very easy to be overwhelmed by the sheer amount of data you can get from each of them, but it is pretty easy to catch some glaring red flags that could signal major problems. To get started make sure you have set up both Google Analytics and Google Search Console on your site. Google Search Console can quickly and easily help you identify if your site has a noticeable security issue which will cause problems appearing in search results. Google will red flag websites that appear to have hacked pages and bar them from appearing in search results. This is the equivalent of SEO suicide and will essentially stop almost all organic traffic to your site. In Google Search Console, you'll want to navigate to Security Issues in the left-hand navigation menu. You will see one of two messages here. Google will either tell you it doesn't see any issues or it may let you know that it has detected hacked content. Google even offers resources for hacked sites if you do encounter a problem. You'll likely need to get your web team involved ASAP to fix the issues. This is another huge SEO problem to avoid. If Google can't properly crawl your site, it won't know when to display your pages in search results. So it won't. Make life as easy as possible for the Googlebot and it will return the favor. 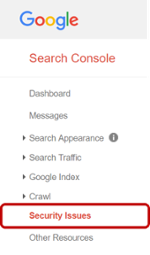 To check for crawl errors in Google Search Console, navigate to Crawl > Crawl Errors in the left-hand navigational menu. This page will list both site and URL errors that were encountered by the Googlebot during it's crawls of your website in the last 90 days. You want your "Site Errors" section to be completely free of errors. These type of errors are a big deal and my indicate that your site is down or misconfigured in some way. URL errors aren't as detrimental, but are still not good to have. You'll want to investigate and try to remedy these issues as well. Oftentimes, many of the URL errors you may find can be fixed by providing Google with an updated sitemap (which leads us handily into our next section). Google Search Console gives you the ability to tell Google exactly how it should view your site. Why wouldn't you take advantage of this? Another no-brainer! A sitemap is for Google what Siri's directions in Apple Maps is for you. In this day and age, you couldn't ask someone to look at an atlas and find a route without them laughing in your face. They'd simply plug the address into their phone and let Siri route and direct them to their destination. This is exactly what a sitemap does for the Googlebot. It allows you to tell Google exactly how you want your site viewed and crawled. So make sure to help it out. You can check for sitemap errors in Google Search Console by navigating to Crawl > Sitemaps. If you see any errors here, you will want to work with your web team to re-submit an updated sitemap to Google (you can submit it right from the same page). As I mentioned previously, Google Analytics can give you tons of information. The important thing to remember is that you should always look at the data provided and try to ask yourself what that data means. In this example, there is no waving red flag that Google provides you like our previous examples. This is one where you have to dive into the data and notice that something doesn't look right. When reviewing referral data in Google Analytics, you can see the different sites that send traffic to yours via links. To view this data navigate to Acquisition > All Traffic > Channels in the left-hand menu of Google Analytics. From this page, you should be able to scroll down until you see the table which breaks down visits by channel as shown in the screenshot above. Now click on Referral in that table to see a list of all referral sites. If you are like us, you are using more tools than just Google Analytics. Our other tools are useful for different reasons but there is still plenty of overlap in the items that are measured. So we often make sure to use our different tools as sanity checks for each other. This is best explained through examples, so I'll give you two! Problems with IP Filtering (both tools allow for the filtering out of traffic from IP addresses associated with company employees or web developers so this information is not counted in visitor numbers). HotJar and Google Analytics: HotJar is a great tool that allows you to learn how visitors interact with your website. One of the features offered is a click heatmap which tells you how many users clicked on specific places on a page. Google Analytics can also provide you some specific click data on a per-page basis. This can be found through the Google Analytics menu, but I actually prefer to use this Chrome Extension. If you install that extension, you can simply navigate to the page you want to see click data for all items on the page as long as you are logged in to Google Analytics and have access to the site you are looking at. We've used this to identify some of the same type of set-up and installation issues between the two tools. No website should ever be treated with a "set it and forget it" mindset. Just like a new pet, your website needs plenty of love and care to thrive and grow. Unlike a new pet, your website has no way to communicate when it isn't feeling well or needs some extra TLC. You won't get a whimper or a whine telling you to take that pet to the vet. What you have instead are your analytics tools which can help alert you to disease or potential disaster. Make sure you take advantage of the ones that are out there!